Unique shops/brands you should have a look at! This website is great if you want vintage or unique brands. You are able to find a range of different styles on this website that aren’t like the high street shops. I personally love this site as I able to find nice original pieces of clothing. Lots of brands of the website sell vintage clothing, like old Tommy Hilfiger, Moschino, Levi’s etc. The site is also great to find different styles, 90’s grunge or even just see the type of trends that are out right now. This site is great for good quality and reasonably affordable clothing. It’s very stylish and I think every one of my friends has used and bought from it before. A few celebrities have opened up a line with the store for example, Carli Bybel famous Youtuber and Alexis Ren famous instagrammer. I would recommend this site a lot as it is reliable and has a wide variety of clothing. 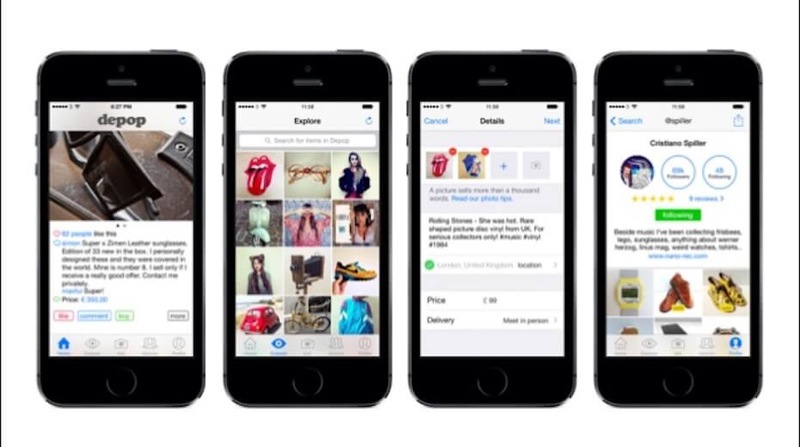 Depop is a app where you are able to buy and sell items online very easily. The concept is a bit like Instagram in the way you upload but instead you are selling it. This app is great if you are looking for cheap or reasonable priced, second hand goods, mostly clothing. The clothing is great if you want to get second hand or sometimes new designer clothing e.g. Supreme, Tommy Hilifger, Ralph Lauren etc. If you need a cheap decent outfit for a night out then Boohoo is the site for you. I regularly buy from Boohoo if I know I need a outfit that I probably won’t wear again or if I need basic clothing pieces. The price is really affordable however the quality isn’t as good as Missguided. There is usually a promtional code on so you can get a discount or even free next day delivery . I’ve already put in first place ASOS marketplace but ASOS’ main website is very different to that. This website sells very high quality clothes, jewellery, shoes, accessories. They still sell from unique brands and the prices are sometimes quite high however the quality is amazing. I bought my prom dress from ASOS for a very good price and I was worried for the outcome when I got it through the post but it was amazing and would certainly buy from them again. A brand called Club L on the site is a great and I would definitely recommend you to have a look. Next Next post: Style that’s making a come back..